As soon as a domain transfer has been initiated it can either be approved ("ACK") by Registrar or denied ("NACK") by Registrar. If the registry receives neither a denial ("NACK") nor an approval ("ACK") the transfer will be ACKed after 3 days. There is a Deletion Restorable Period of 60 days. Restores can be processed in realtime. A restore is possible within 60 days upon deletion. Please use the command RestoreDomain. Please attend the TLD specific requirements for an ownerchange mentioned below. The customer is aware that the official .HK registry registration policy requires all individuals to provide identification (i.e. passport numbers) to register a .HK domain. 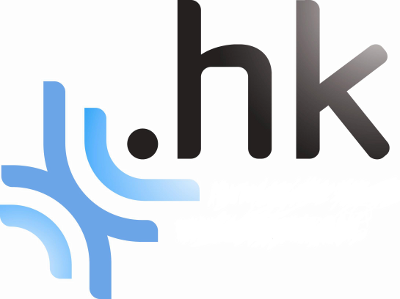 In processing .HK domain registrations through HEXONET, the customer explicitly authorizes HEXONET to transmit this information to the registry on the customer's behalf in the fulfillment of .HK registration policy and the registration of domain names. The customer in submitting a .HK domain registration through HEXONET explicitly agrees to indemnify HEXONET against any and all liability, loss, damages and legal costs in the transmission of identification information, understanding that HEXONET deletes identification information from all its systems immediately after transmission. The customer understands and accepts that the .HK registry may choose to store identification information along with other registration data on their own accord and completely independent from HEXONET. Registration of a .COM.HK domain is limited for company's based in Hong Kong. The registration have to be validated with the copy of the business certificate. Please send the business certificate to help@hexonet.support. An ownerchange has to be requested via TRADE command. After the TRADE has been started, you will find the so-called TNR number within the command response/object-log for this domain. This number should be placed on the form and the form must be submitted to the address below. A Transfer Application Letter must be printed on the letterhead, signed by the current AND new owner and contain company stamps of the current OR new owner if applicable and the Tracking Number which can be retrieved within the command response or object log of the TRADE command. There are different types of Transfer Application Letters depending on whether the new owner is a business or an individual. Domains can be renewed explicitly with the API RenewDomain command. Valid Renewal Periods are: 1-3 years / 5 years. HKDNR will send a reminder to the registrant that the payment for the renewal must be made within seven (7) days before the expiration date of the domain. HKDNR will send a notice to the registrant to acknowledge the receipt of the domain name renewal request (this request is made by our renewal system automatically). HKDNR will send a notice to the registrant to acknowledge the successful renewal. Please note that you don't need to react on these emails. Our renewal system renews the domains and charges your account at the correct date. This page was last modified on 7 August 2018, at 16:17. This page has been accessed 49,863 times.